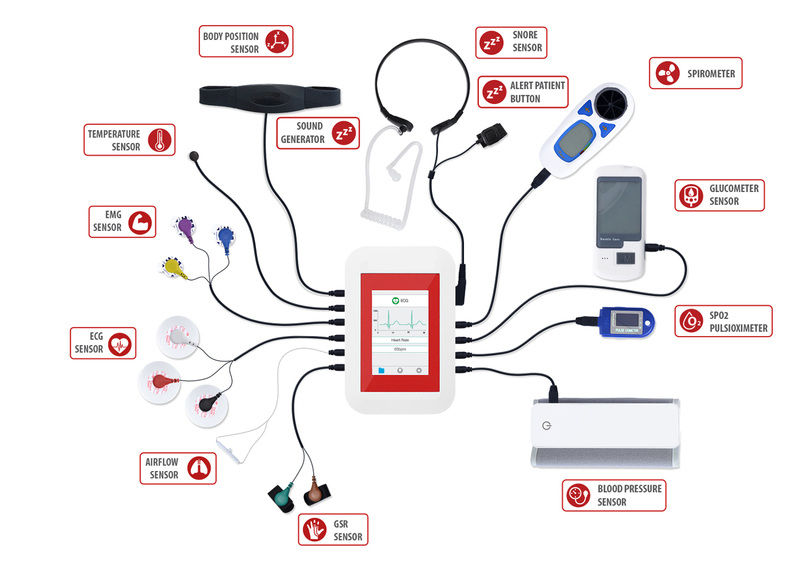 E-Health Tracker is a development platform for medical devices and eHealth applications. You can use E-Health Tracker to develop your eHealth web, Android or iOS applications or even to add your own sensors to build new medical devices. E-Health Tracker allows you to measure more than 10 biometric parameters such as pulse, breath rate, oxygen in blood, electrocardiogram signals, blood pressure, muscle electromyography signals, glucose levels, galvanic skin response, lung capacity, snore waves, patient position, airflow and body scale parameters (weight, bone mass, body fat, muscle mass, body water, visceral fat, Basal Metabolic Rate and Body Mass Index). 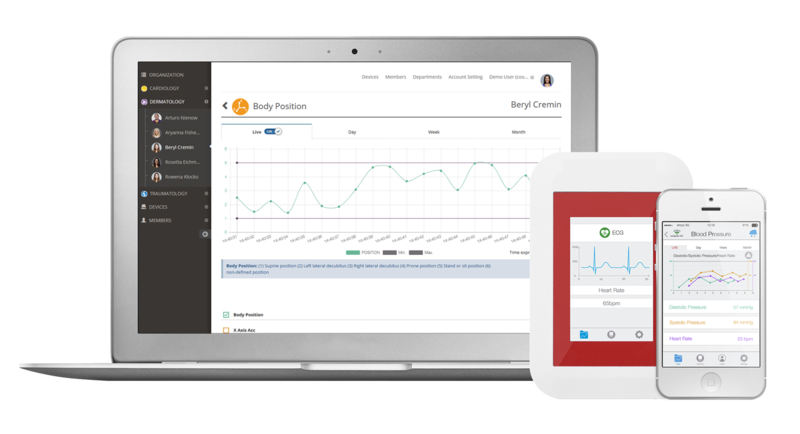 These broad sensing portfolio makes E-Health Tracker the most complete eHealth platform in the market. Pulse and oxygen functions. Wired or Bluetooth version. Blood pressure control device. Wired or Bluetooth version. Glucometer monitor. Wired or Bluetooth version.